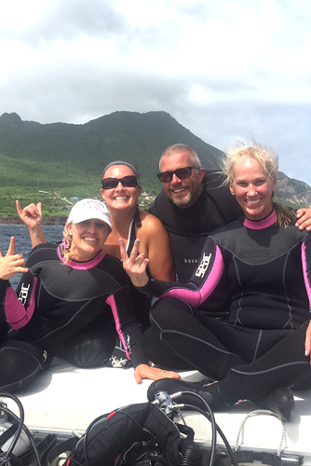 Our mission is to give you the best diving St Eustatius has to offer with care for your personal safety and the environment. We offer low guest-to-guide ratios, just the way we want to dive ourselves during our holidays. St. Eustatius offers dives for all levels and no matter which level of diving you have, we always listen to your personal needs and do everything to give you an unforgettable experience. Our team is highly trained but even more important, we are passionate about diving and our oceans. As instructors, we feel it is our duty to promote environmental awareness and responsible behaviour towards our student divers. We always strive to leave the environment as we found it, so future divers can enjoy the St. Eustatius reefs as much as we do.